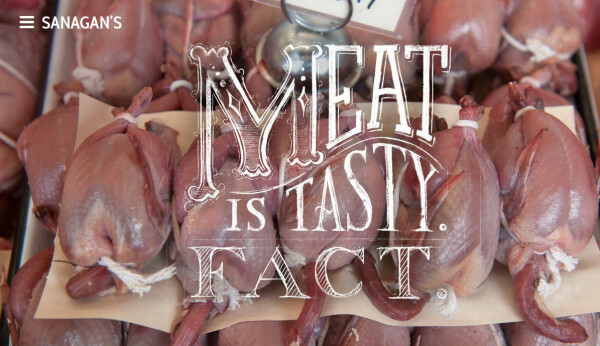 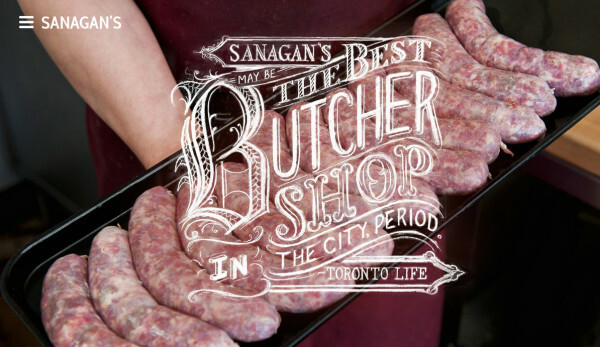 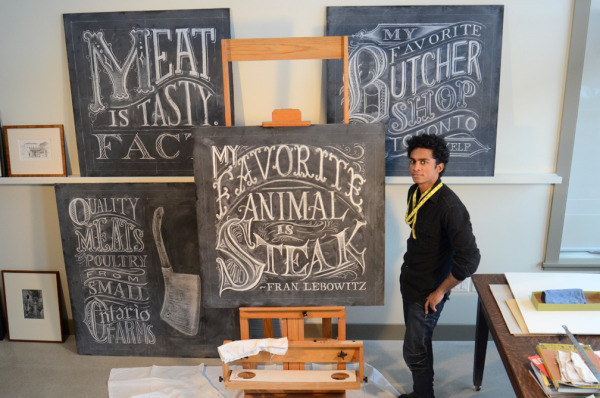 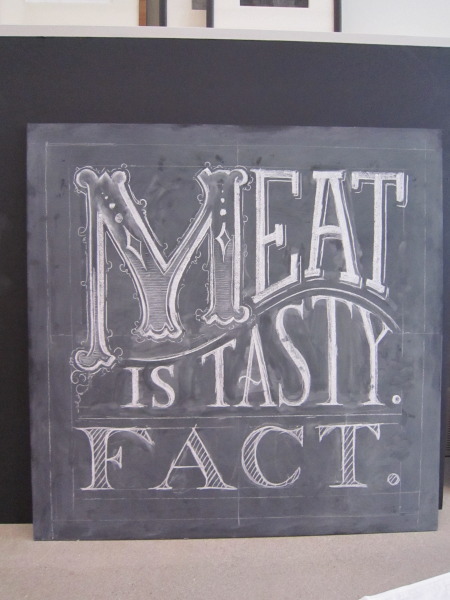 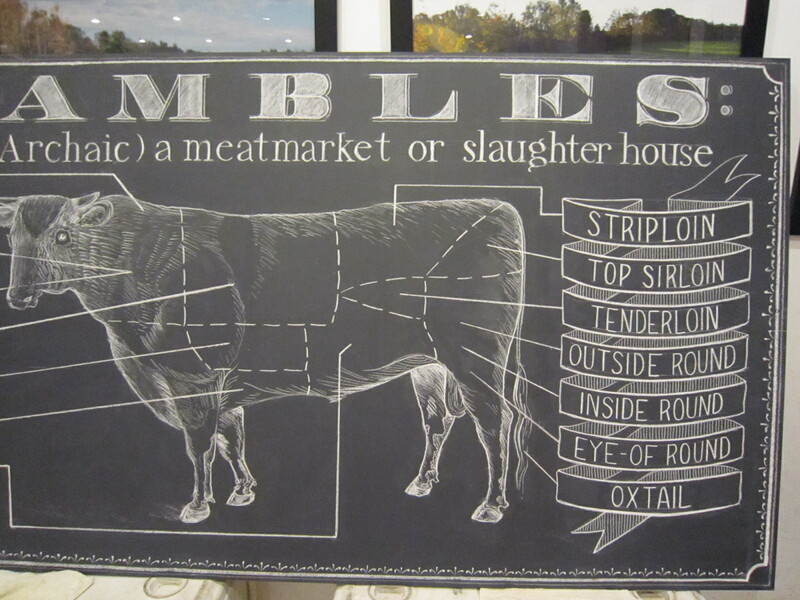 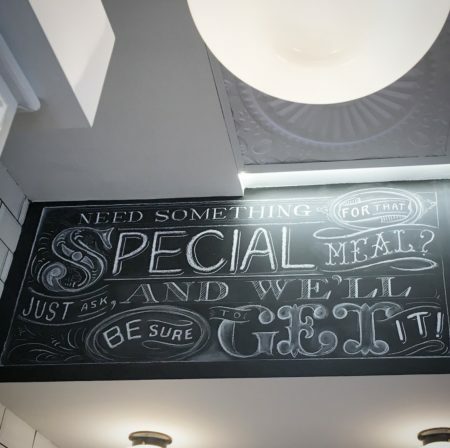 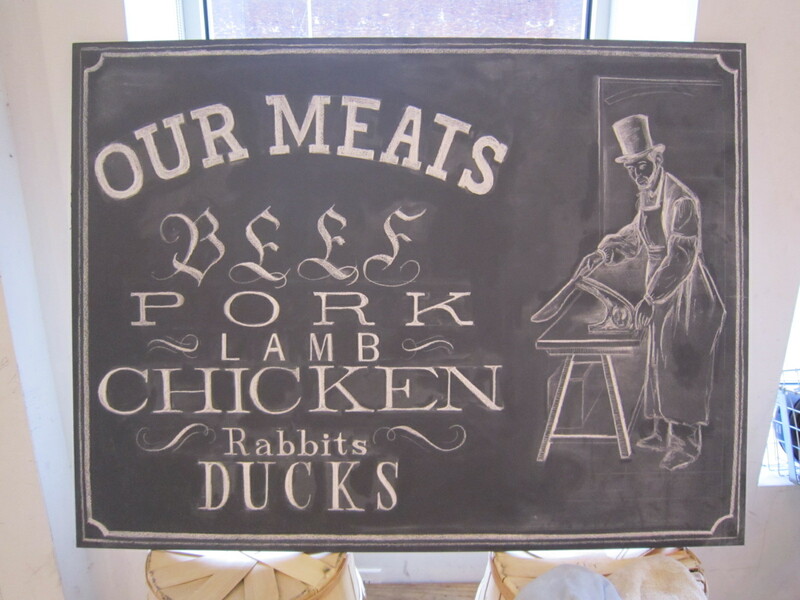 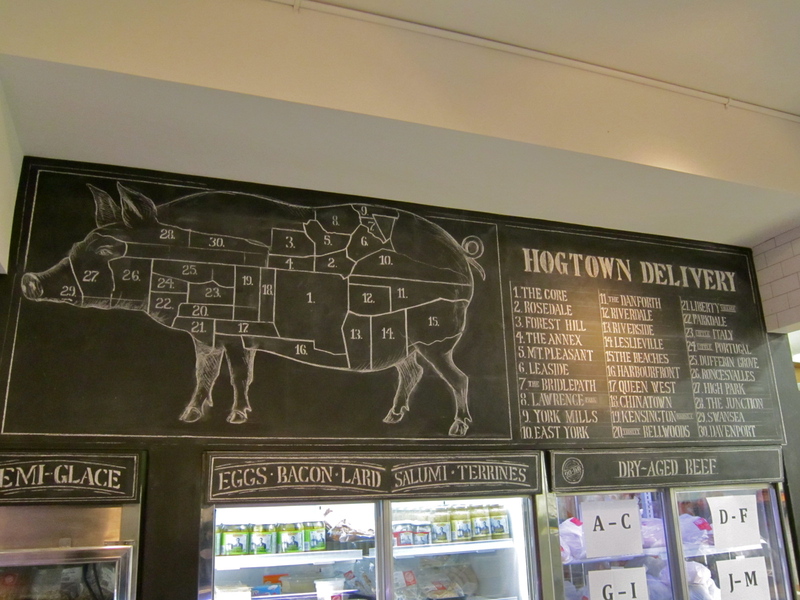 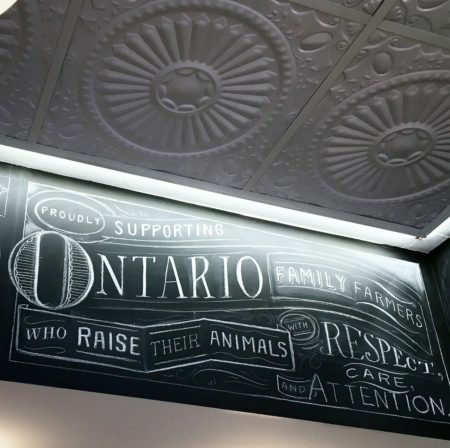 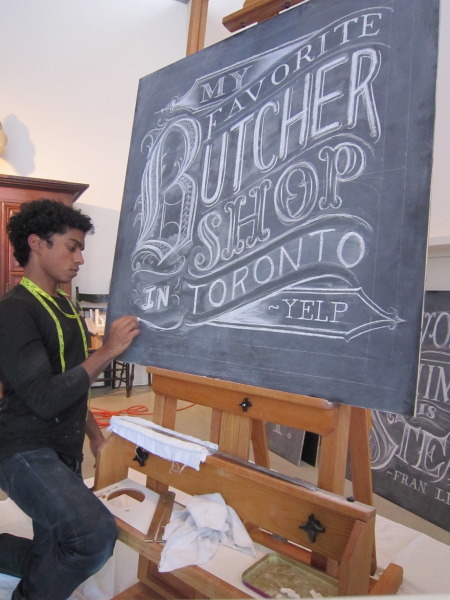 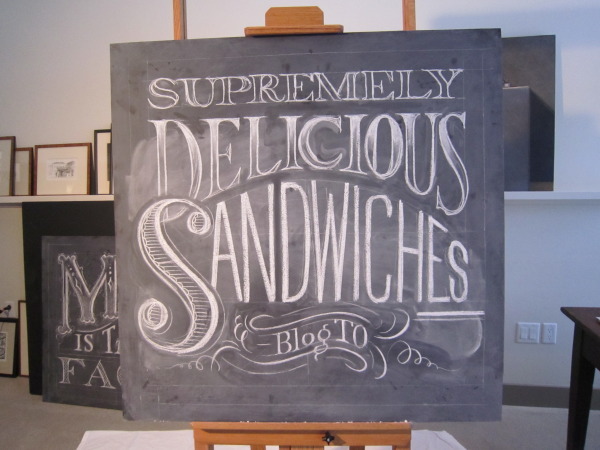 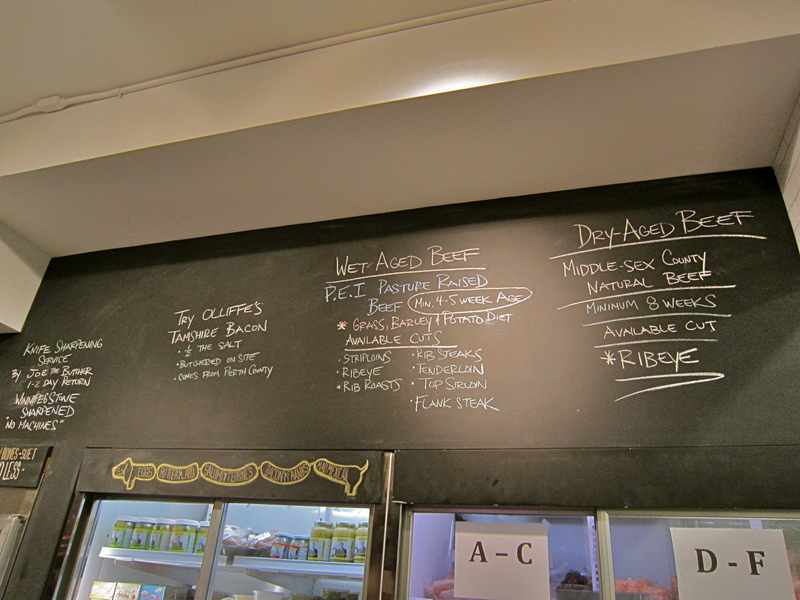 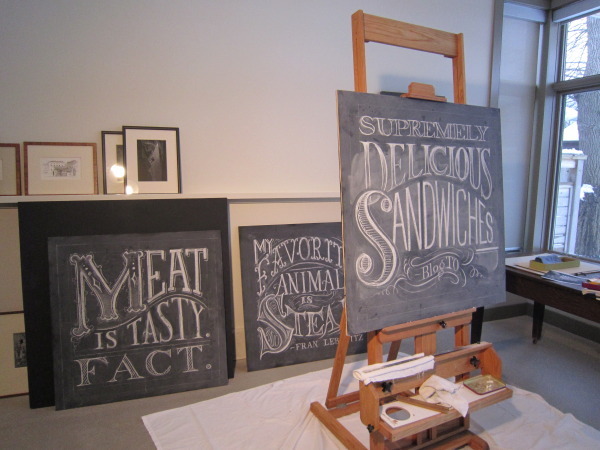 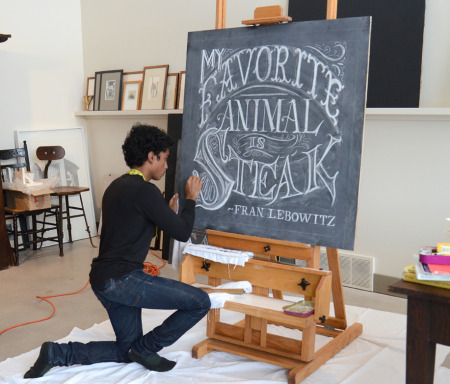 Another collaboration with Sanagan’s Meat Locker, in Kensington Market: I was commissioned to draw out text phrases in chalk which would be superimposed over images for Sanagan’s new, fancy, website. 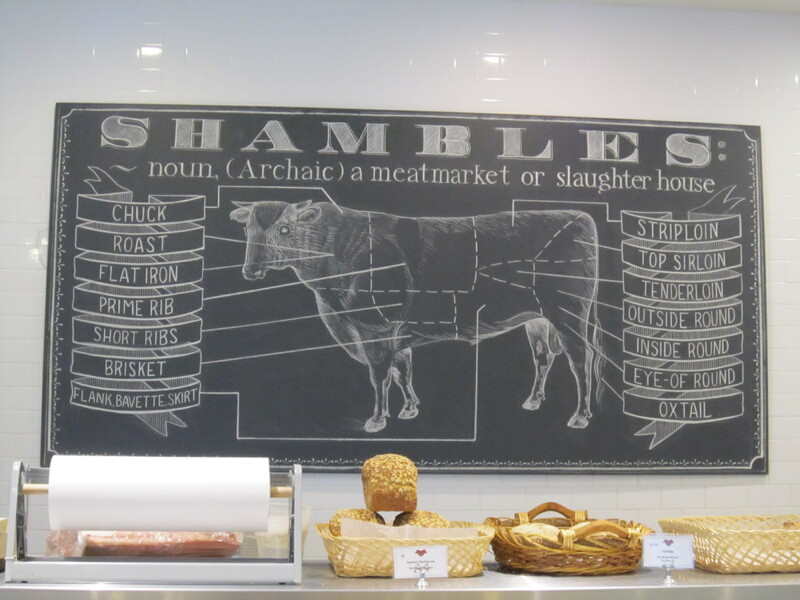 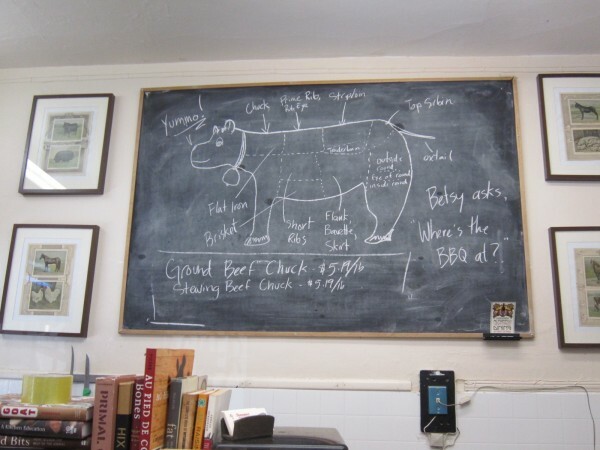 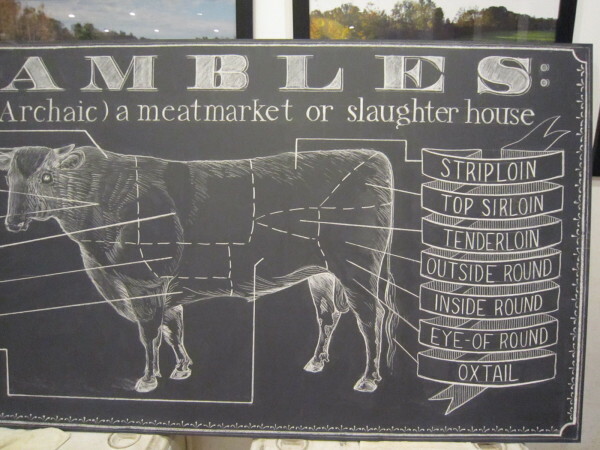 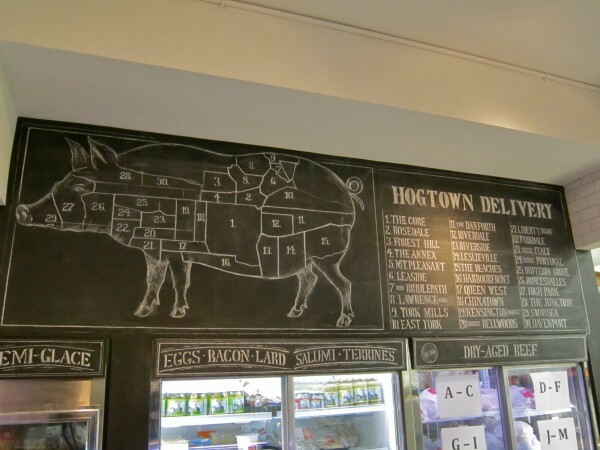 There’s a great butcher in Harlem – all of their meat is sourced from small farms in the state of NY and raised in an ethical manner. 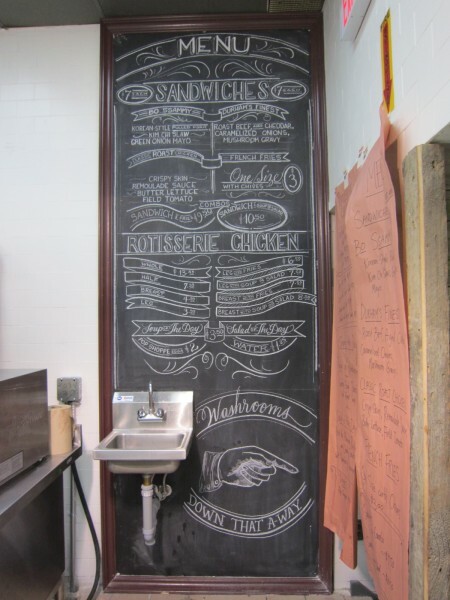 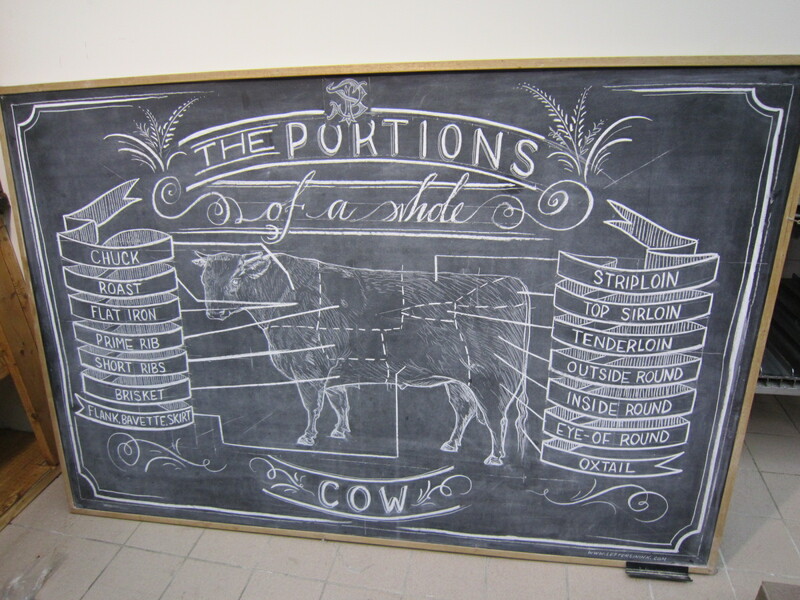 Their walls were somewhat bare, so I suggested adding some chalkboards! 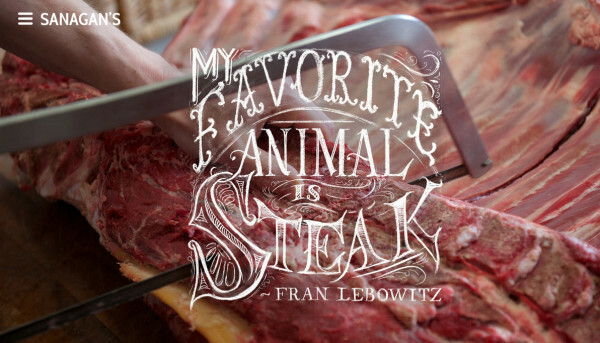 The butcher, the baker, the candlestick maker!